Depending on the type of land transport business you plan to set up in Singapore, the process may require more than one license and/or permit. In any case, you will have to register your business first with the Accounting and Corporate Regulatory Authority of Singapore (ACRA). Your business must register as a sole proprietorship, partnership or a private limited company. Given the nature of this type of business, it is best to incorporate a private limited company as it would protect you from the many liabilities associated with a land transport business. Rikvin is Singapore’s leading specialist in company formation. We can help advise you the most suitable business structure that will help your business succeed. Simultaneously, you will need to secure a premise for your operation. The premise has to be zoned for commercial use. Once you have secured a space, do make sure that it is current on building codes and fire safety measures. If your business requires the premise to be converted into a warehouse for storage of vehicles or goods, you will need to obtain a permit from Urban Redevelopment Authority (URA). URA has a specific rule called the 60:40 Rule for the conversion. The rule stipulates that at least 60% of the gross floor area (GFA) is designated for warehouse usage; and 40% of the GFA can be used for office space, cafeteria or communal facilities. If you plan to renovate the space, you will need to apply for a building work permit through Building and Construction Authority of Singapore (BCA). When the building works are complete, you will also need to obtain from BCA: a Certificate of Statutory Completion and a Temporary Occupation Permit before you can occupy the space. All renovation works are to be performed by certified or licensed contractors including architects. A business signage that is placed on the building will require an application of an Advertisement License from BCA. There are several more licenses and permits to get depending on the needs of your business.Occupational Safety and Health Division at Ministry of Manpower (MOM) will have to approve the premise to ensure that it is a safe workplace. You will also need a Fire Safety Certificate (FSC) prior to occupying the building. You can obtain an FSC from Singapore Civil Defense Force. If the storage facilities involves lifting of heavy goods, you will need a Crane Operator License from MOM. 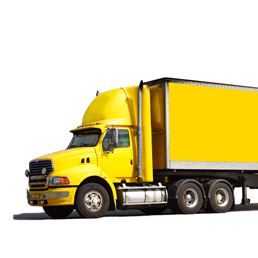 When transporting dangerous goods such as toxic chemicals or flammable materials, a driver is required to have Hazardous Materials Transport Driver Permit (HDTP). You can apply for a HDTP from the Singapore Civil Defense Force. If your business owns a heavy vehicle such as a crane, you will need to first obtain a Vehicle Parking Certificate (VPC) and a designated parking place. A VPC will be required when you to register the vehicle and to renew the vehicle license. Oftentimes a land transport business requires working with the Singapore Customs. You will need to activate your customs account using ACRA assigned Unique Entity Number (UEN) and Singpass. For more information on Singapore Customs and importing goods into Singapore, please see our article on How to Apply for License and Permits to Import Goods into Singapore. Rikvin is the leading authority in company formation in Singapore. We can help you register your company with ACRA in less than 24 hours. Our comprehensive corporate services can provide you with a customized package that includes application for pertinent licenses and permits that you require to establish a land transport business. We can even help you activate your Customs Account with Singapore Customs. To learn more about our Incorporation Services please go to Singapore Company Incorporation Services. Ready to incorporate a Singapore land transport company?